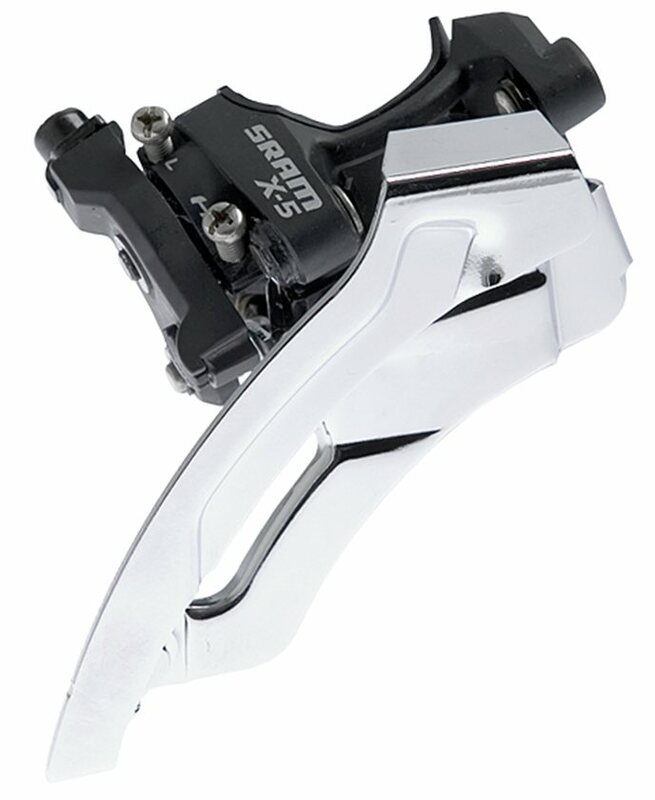 SRAM X.5 Low Clamp Dual-pull 31.8/34.9 front derailleur is a smooth shifting top-swing derailleur that is compatible with mountain triple cranksets. After struggling with the stack Shimano Deore that came with my bike for hours & many youtube techniques, I decided to give this shifter a try. For disclosure I have wrecked & bent the Shimano several times. Installed the SRAM and indexed in 15 min! Awesome! I like the quick clunk shift - it gets into gear quick. It even shifts this good on the Non Ramped, Non Pinned FSA DH Chainrings I recently put on my Mountain Bike. The actual derailleur is longer and thicker than the Shimano - may hold up to the wrecks & abuse better. Powerful spring action for downshifts. Had this on my new Marin. Used it for a while but I did not like the action. The shifter ergonomics have nothing to do with this deraileur, but I did not like the shifters as well. Switched back to my Shimano SLX. Sorry SRAM, I tried it and didn't like it but I'm still a die hard RockShox & Avid rider!